Your smart phone makes it easy to manage your life & finances through your android apps, to stay more organized, and to do more things. You can use it to keep track of your kids’ schedules or to learn a new language. You can use it to keep track of your weight loss goals or to play fun games while you are waiting at appointments. Mint.com draws information from your online bank account and credit cards to keep track of your expenses. You can create a budget and then compare it to your expenses, and you can get reports on the types of items you are spending your money on so you can analyze spending. The app is free, as is the service, but you have to sign up for an account on the website. All your information will then be synced across the devices you use to access the account. See all your bills on one screen so you can quickly know when bills are coming due and pay them with ease. You just have to click on the icon on the screen to be taken to the biller’s site, where you can pay your account. You can even get alerts when bills are going to become due. The app also keeps track of frequent flyer miles and other financial rewards. Keep track of your income and expenses with this all-in-one app. You can create a budget and savings plan, monitor your spending, and pay your bills. You can even use the app to pay your bills directly. The app is free, but you have to sign up for the service through the site. Monitor all your account activity with this app — not just your checking and savings account. You can even create an account for your cash to keep track of what you’re spending right from your wallet. Track your expenses, manage budgets, and much, much more with this app. You can also create and export multiple types of reports. You can use this app to quickly check in on the status of your tax return and to get an estimate of when you will receive your return. You won’t be able to put together or file your taxes with the app, but you can monitor what’s important: When to expect to put that check into your account. You can also get information for resources to help you file if you need them. What other apps do you use to help you manage your finances? Share your favorites in the comments! Alexis Bonari writes for one of the largest open databases of college funding opportunities. Specific topics like grants for school are described in detail to provide multiple resources for students. Thanks for presenting these extremely useful apps. I use some of them and they are really helpful in managing financial life every day. I will have to test all of it and I wish to get one that fit to my requirement. Androids are became very popular day by day. Those apps are very helpful to any kind of android user. I think they can get rid from many problems by this apps. This is best thing of android apps you can find anything on mobile that you need all these apps are really good. I am going to use one of them and personally after reading this post I like most Mint.com and MoneyWiz. Page once is unreal, it helps me keep track of my business expenses day in day out. Highly recommend it. I haven’t tried the others, might give them a try this week. For MoneyWiz you have given the iphone app link. 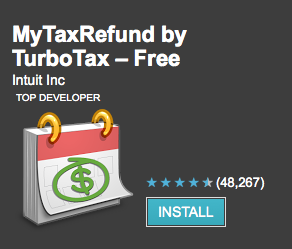 I have been using Mint for sometime, but i would like to know that is there some app which can help me to easily calculate my tax ? And thanks for compiling this list. I’ve always struggled managing my personal finances online. I usually just use a spreadsheet and that seems to do the trick. I’ll give these ones a go this week and see how I find them.